You are unlikely to get Zika fever twice as new research bolsters the belief that people infected with the virus may not be susceptible to it again. “The research shows that infection provides excellent protection against reinfection,” said one of the researchers Stephen Higgs, Director of the Biosecurity Research Institute, at Kansas State University in the US. “This means people infected during this current epidemic will likely not be susceptible again. When a large proportion of the population is protected — known as herd immunity — the risk of future epidemics may be low,” Higgs said. Re-infection of six animals 45 day after primary infection with a heterologous strain resulted in complete protection, which suggests that primary Zika virus infection elicits protective immunity, the researchers said. The protection against reinfection was one of several findings of the collaborative study published in the journal Nature Medicine. Other findings showed that Zika virus is present in the blood very early during infection and remains in some tissues for a long time but is only briefly present in other tissues. 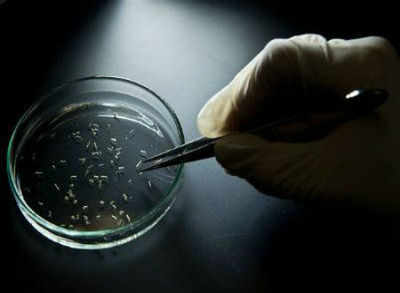 For the study, the researchers produced Zika virus at the Biosecurity Research Institute and provided it to collaborators to support studies performed at several other laboratories. Have you heard about Beer yoga?